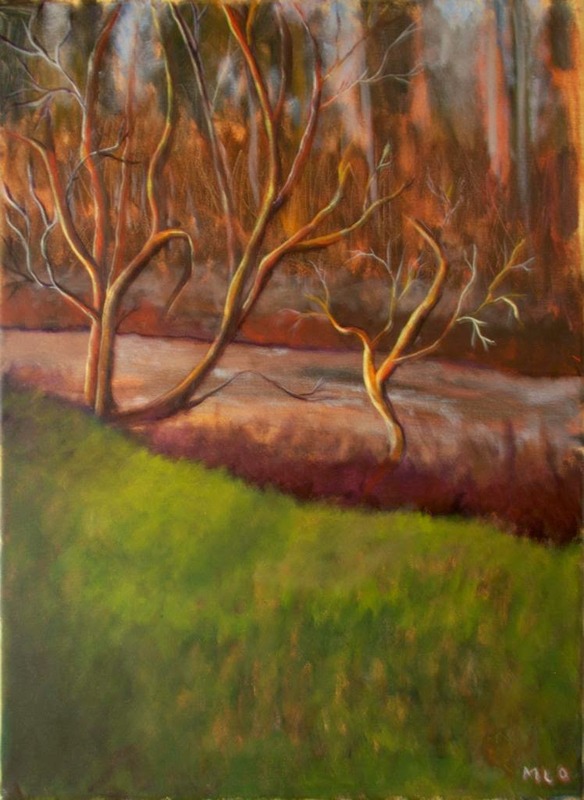 Leona Olausen, "River Valley Sun", acrylic on canvas, 28.5" x 22.5"
Olausen's remarks on this work: Inspiration for this piece – It is April 29, 2014 early morning with the warm sun spreading across the landscape warming the Edmonton River Valley. With brush in hand, feeling a heightened sense of awareness, I record the beauty of nature and how light moves across the river valley. En plein, acrylic on canvas is quickly completed at home studio, so that the painting does not lose the response I felt when painting on location.